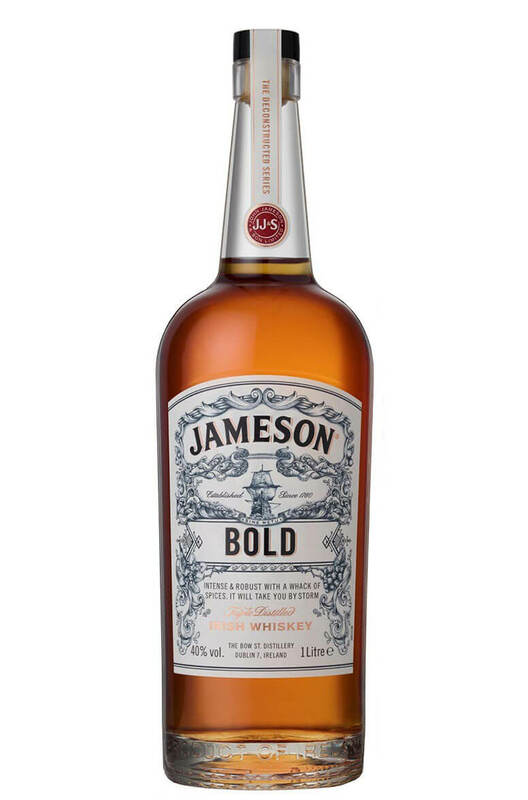 The Bold expression in Jameson's Deconstructed series is predominantly made from single pot still whiskey along with a small amount of grain whiskey. Aromas (without water) On approach look for the red apple and ripe banana before the spices appear. Soft green pepper and nutmeg are given some sweetness by the vanilla and cinnamon, Subtle woodland notes on a background of Barley straw bring added depth. Flavour Initially sweet and creamy, with an abundance of stove fruits. The pot still spices develop to bring a perfect balance of rich barley notes and mellow baked apples. Finish: Lingering spices fade leaving a soft barley finale. This is a hard to find expression of Jameson that is normally only found in airport retail. The '..
Part of Jameson's Deconstructed series which is normally only found in airport shops. The &..